Summer Savings: get 50% off in August! This video program is available to stream online, and download to your computer or mobile device. You can either pay the full tuition in one payment now, or in 5 equal monthly payments. This course has a 7-day money-back guarantee. Use a valid debit or credit card. You may also use Paypal. To do so, click the Watch Now button and select Paypal at checkout. Instant online delivery to your email inbox. 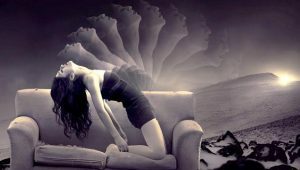 Do you get nervous when it’s time to perform astral projection? Do you feel like something as powerful and exciting as an out of body experience could NEVER happen to you? Have you felt like every time you want to go out of body, your mind is bombarded with distracting internal dialog and chatter? Do you ever lay down to astral project, and as soon as you go into deep trance, you fall asleep and miss out on the whole experience? Do you feel like you’ve read every book, watched every video, and intellectually understood every aspect of astral projection, without any consistent practical success? Have you ever felt like just throwing in the towel and giving up because it seems like NOTHING will work… and you should accept it? You’re NOT alone. In fact, that list of questions was created from years of personal experience and from learning about this area of my life for myself. Over the last 40 years I’ve been pretty lucky. I’ve travelled the world giving seminars and teaching thousands of people just like you how to get out of body and astral travel. Why Is It So Easy For Psychics To Have INCREDIBLE Success With Astral Projection, While It’s So Hard For Us “Normal” People To Go Out Of Body? Psychics have MUCH healthier energy bodies. Now let me ask you this: is there a difference between the physical health of an Olympic athlete and a normal person? Well, there is ALSO a difference between the ENERGETIC health of a psychic and a normal person. Do you understand my point yet? The secret to lasting success with astral projection is hidden inside your energy body. If it’s not healthy, then you won’t go out of body EVER. But fear not, because we can all get our energy bodies into shape through a special technique I call “tactile imaging”. The truth is, when you turbocharge the chakras inside your energy body, astral projections will start happening AUTOMATICALLY, without any hassle. I want you to know that I was NOT born able to have out of body experiences on command. For years I struggled, and fought to claw my way out of my physical body. But one day, I made what some people consider to be the BIGGEST DISCOVERY in the field of astral projection. I invented a brand new technique for stimulating the energy body… a method that actually works. And through careful experimentation, I figured out that my special “tactile imaging” technique SKYROCKETS your success rate with getting out of body. I reported my discoveries in detail to several online communities devoted to psychic abilities, and I quickly became the “go to” guy for advice on the subject. This launched my career as a professional author and international trainer. And since then, I’ve helped hundreds of thousands of people learn to have out of body experiences willfully. And if there’s one thing I learned from helping THAT MANY people… it’s that ANYONE can get success. For the astral body to exit the physical body, the physical body *must* be completely relaxed. It’s needs to basically be in “sleep” mode, like a computer. This is called “trance”. Similar to a car, you need to park your body, before you can safely open the door and get out. Relaxation and trance unlocks your physical body. Here’s the secret step that almost all mystics miss. If the activity and health of your energy body is crucial to success with astral projection, then it’s vital for you to “warm up” the energy body before attempting your exit technique. Even just a few moments of concentrated energy work will prime the pump, so to speak, and boost your ability to project. Energy work unlocks your energy body. Once your physical body is in trance, and you’re energy body is warmed up, then it’s time to shift into drive. That is to say, it’s now time to perform an effective exit technique. And if you’ve taken care to complete the first 2 steps, then this third one is SURE to work. Think about it this way. If you’ve turned off your car, and opened the door, now all you have to do is step out and walk away. Exit techniques unlock your astral body. If you’ve decided that you’re ready for SUPER-SUCCESS with astral travel and out of body experiences, then what I’m about to tell you will help you get it in A LOT less time than it took me. My Astral Projection Mastery program is the most advanced educational product on planet Earth for INSTANTLY increasing your success with astral projection. For over 40 years I’ve tested and refined the most powerful and effective astral projection techniques, and invented several of my own. I’ve put ALL MY BEST material inside this one program. It only consists of what has proven to work through thousands of experiments. You will not find these special techniques and strategies anywhere else. The bottom line is this: if you try my material and it doesn’t work, then it’s YOUR fault, because I know for a FACT that this stuff WORKS. Hundreds of thousands of people have confirmed it for me, and I’ve been using these very techniques myself for decades, testing them in a variety of conditions. When you’re totally committed to following my simple instructions, so you FINALLY get out of body and start exploring the wonders of the astral plane, this program is for YOU. Because I want as many people as possible to benefit from this program, I’ve priced it at only 5 easy monthly payments of $59 and it comes with my better-than-money-back guarantee. You can watch my program online immediately from your computer, smartphone, or other portable device. Try Astral Projection Mastery RISK FREE for 7 days. If for any reason you’re not happy, simply let me know before the 7 days are up, and I’ll give you a full refund. Start following this proven step-by-step system to quickly learn how to get out of body, explore the astral worlds, and experience immortality. You’ll feel completely ecstatic as you discover the secrets to the Afterlife while you’re still alive. We BOTH KNOW it’s time for you to finally get consistent success with astral projection. I thought I’d seen everything, but this program opened my eyes and soul to totally new astral experiences. Robert’s easy to follow techniques enabled me go out of body within only a few days of trying it. I had no idea it could be this effortless. I wholeheartedly recommend this program to anyone who is serious about astral projection. I promise you’ll enjoy it and get more out of it than you can ever imagine.